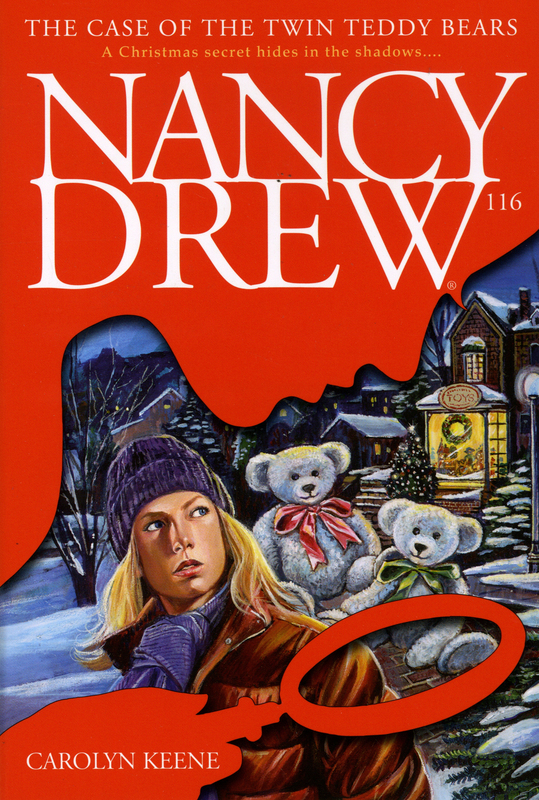 On the trail of a teddy bear thief, Nancy unwraps double-dealing and double crosses! Bess is working during the Christmas rush at Beary Wonderful, a toy and teddy bear shop, when the holiday season takes a sudden scary turn. The owner’s prized collection of antique teddy bears—cute, cuddly, and worth a bundle—has been ripped off. But the break-in is only the beginning of a much bigger and more brazen teddy bear caper. The attempted theft of Bess’s own bear—a replica of one of the antiques—leads Nancy to believe that more is at stake than a couple of burgled bears. For Nancy knows that even something as innocent as a teddy bear can be stuffed with intrigue!